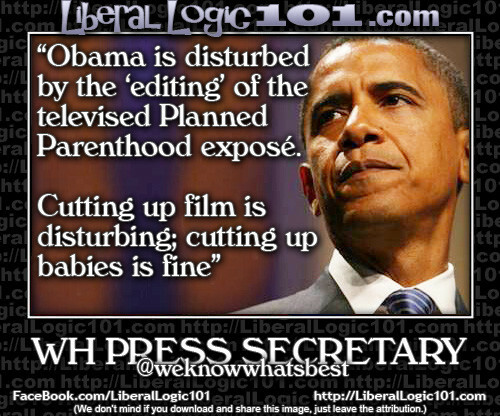 Planned Parenthood can count its blessings that it has Obama and the media that installed him in power on its side. Otherwise, not only would its half $billion per year of taxpayer money get cut off immediately, but the fiends running this outfit would be in prison. Trafficking in body parts is highly illegal. On tips from DinaRehn and J.
AMAZING how the LEFT claim to be cleaning up the planet while making it as disgustingly VILE and NASTY as it has EVER BEEN! ACTUALLY it really TYPICAL of the left, ALWAYS doing EXACTLY the opposite of what they claim…! I watched this first thing this morning [like a foolio] and I still feel nauseated. Dehumanization at its scariest, cruelest, vilest most evil. The slaughter of the most helpless and most innocent. That’s their claim to fame…doing the exact opposite of what they ‘preach’. Full disclosure: I could only watch part of that heart rendering video. To say that it was disgusting, disturbing and reprehensible is not enough. Actually they have convinced the BRAIN DEAD it’s NOT what they do…those zombies actually think the LEFT really CARE about ANYTHING. doing the exact opposite of what they ‘preach’. Starting with their self labeling as “Liberal” or “Progressive”.. They are neither for liberty OR progress. The LEFT ARE the EVIL in the world! The State of Kalifornia has started an investigation against The Center for Medical Progress, not PP. They are doing everything they can to protect Dr. Mengle . . . er . . . Dr. Gatter. See how proud of themselves they are? Ask yourself this, what kind of person takes a job dismembering babies every day? So just like Benghazi, they are blaming a disgusting video. They have “say the opposite of what they mean disease”. Next thing you know, they will be friends of Ray Finkle. Exactly, Dina! Or… ‘tolerant’. HAHAHAHAHAHA! I won’t re-post it, but, there was a video of a fetus (super tiny and WHOLE) squirming on a table. It was heart-breaking and sickening all at once. And, they revel in it, celebrate it and challenge any naysayers when confronted with a mirror. That is the last thing they are. Perhaps we should just disband the U.S. Marines, since their uniforms and emblems seem to offend our enemies at home and abroad. First, President Obama suggested that Marines not wear their uniforms in public – in America – in the wake of the recent Chattanooga terrorist attack, because he believes our warriors should hide rather than take the fight to Islamic domestic terrorists. Now Facebook has taken down a popular pro-military page called “Locked and Loaded,” telling administrators that a picture of the United States Marine Corps emblem with a ribbon marked “In Remembrance” violated Facebook’s “community standards,” Examiner.com reports. PP keeps the baby body parts between the fava beans and a nice Chianti. They always have been, this is an ancient evil. Slave holders, KKK, Eugenics, Nazi trainers, etc. This is just the current iteration of the mental illness. The devil’s greatest achievement is to convince people he doesn’t exist! As usual, they DIVERT attention. WE would have to disband EVERYTHING to NOT offend the habitually offended…! I’d rather just tell THEM to pound SAND! So I gotta ask… who’s more evil? 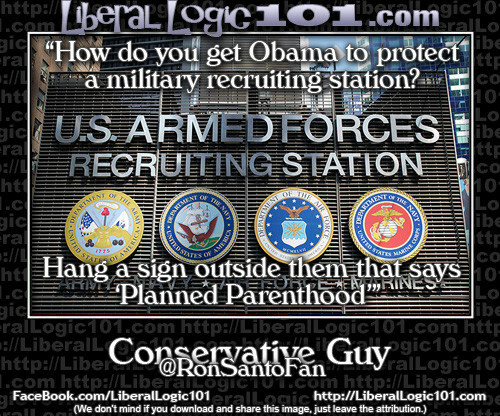 People working at PP, or people blowing up abortion clinics? PP better get their passports updated so they can skip the country. I know Trump is not a conservative but he is now talking about cabinet members like Sarah Palin for Interior or HHS and . . . wait for it . . . Trey Gowdy for AG. He is WAAAAAYY up in the polls even after the McCain flap. In NH. he at 25% compared to Jeb at 12%. CNN has him at 18% over Jeb at 15%. Real Clear Politics still shows Killary beating him by 16% though. Add a Sec of State like John Bolton and I’m now interested in Trumps candidacy. At that point all would need to do is drop Boehner and McConnell in a hole, hey, accidents happen, and get some decent leadership in Congress. Since when did life become a commercialized, transaction? 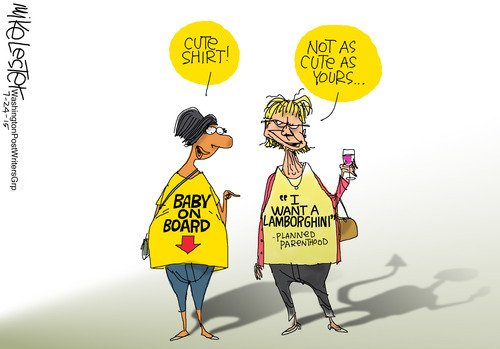 Yeah, exactly when babies become commodities? Than as a living breathing ” whole” person? Would anyone do this to kittens or puppies? THAT, WOULD BE CONSIDERED “SICK AND TWISTED”! Some people, certainly do, have their ” wires” crossed! 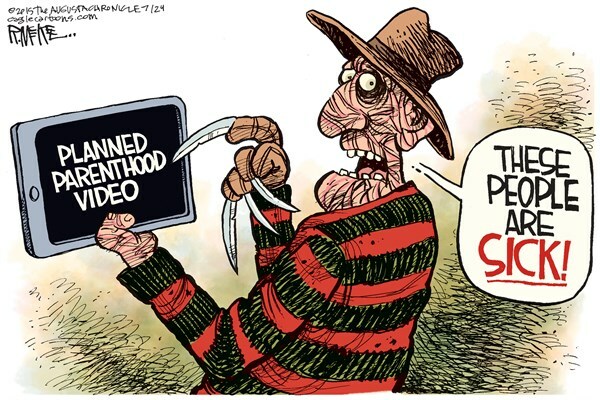 People are appalled by PP! This is not going to go away! after bestowing his mandate of gentle benevolence, “god bless” upon pp. And he can’t figure out why??? Hmmmm . 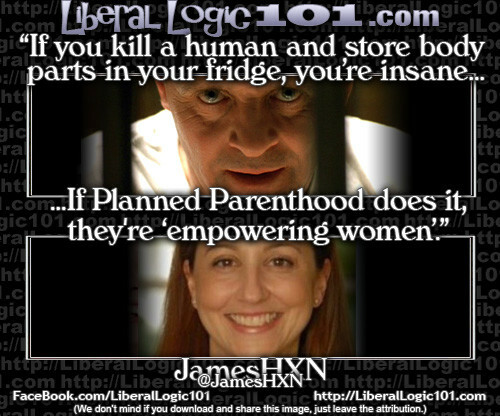 . . Let’s see, murdering, dismembering and selling babies or stopping the slaughter of those babies? Gee that’s a tough one, troll. That you even ask the question is proof of your depravity. Here is your same question in a different time frame. Who is more evil? The Nazi’s who were herding people into the ovens or the people who fought and killed the Nazi’s to stop them from herding people into the ovens. Killing Progressives is a service to humanity whether they are German Nazis or American Democrats, they are the same. The only body parts I want to see are those of liberals after a good dose of carpet bombing! my depravity, LOL 😛 good one! 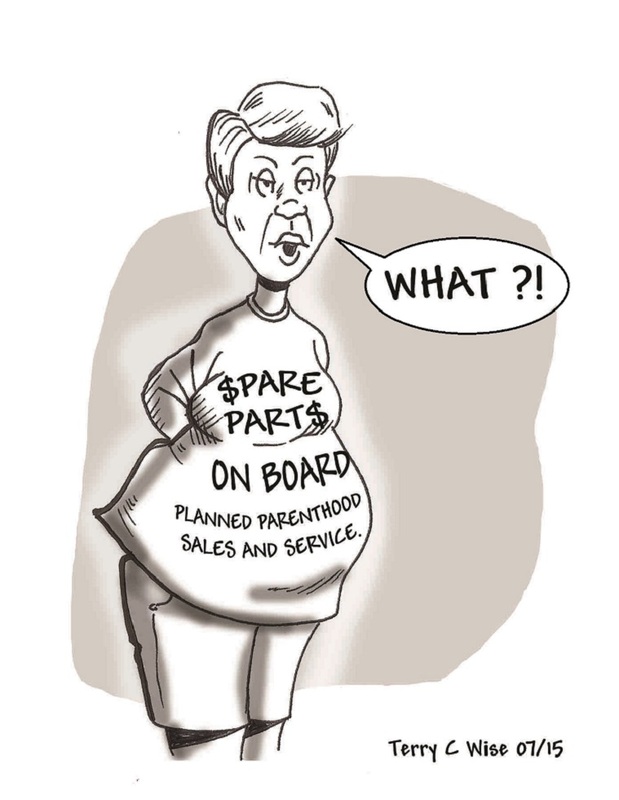 The U.S. Government should stop all funding of PP immediately! I shudder that even a cent of my tax money goes to this baby parts selling money making machine. It makes the Nazi’s look like amateurs in comparison. They should be arrested for crimes against humanity, disgusting! Direct working part time512.69$/day::: @1md3. Yep, good little Nazi Troll. Don’t you have some books to burn? Eradication of all human life is their endgame, except for a small number which they can lord over and not damage the Earth.